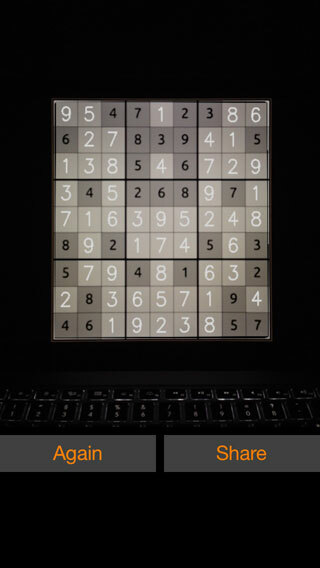 Sudoku Solver Camera - The App to Solve Sudokus Quickly! Without Really Looking at it? 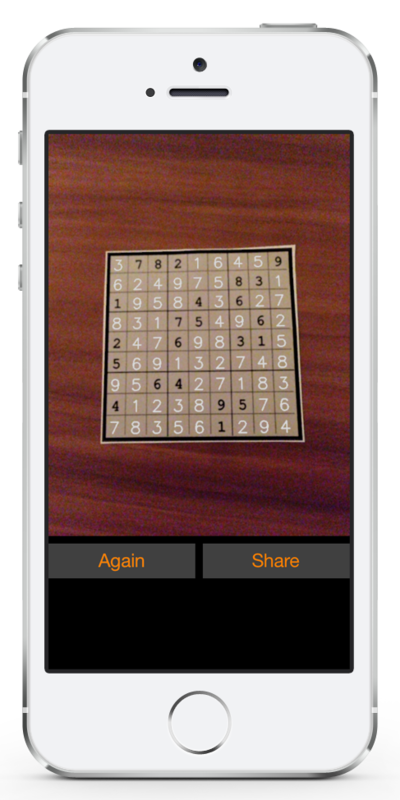 The Sudoku Solver Camera app is the fastest way to solve a Sudoku. 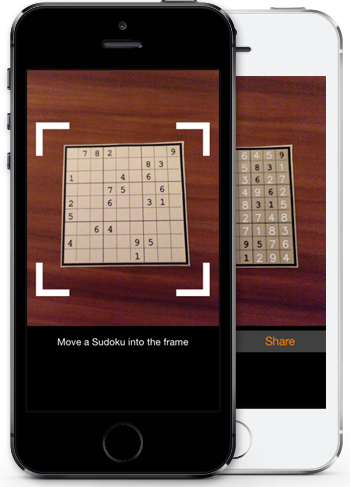 Our app is basically a video camera that scans for Sudokus. 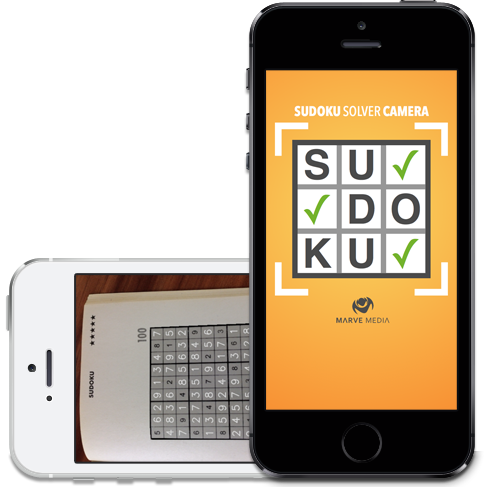 After a Sudoku has been detected the video camera captures an image, the Sudoku will be solved and the missing digits will be filled in automatically. All done in the blink of an eye. First of all you need decent lighting (daylight is preferable). 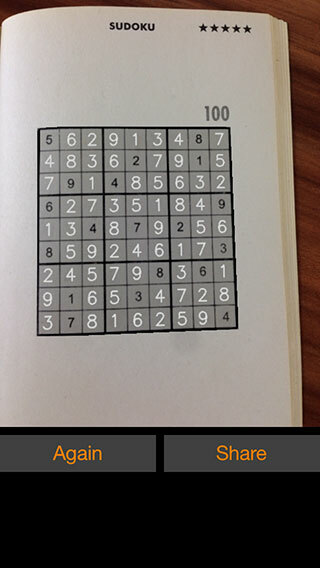 Hover your phone close above your Sudoku then move up until the Sudoku fits into the frame. Move your device slowly to enhance detection quality. 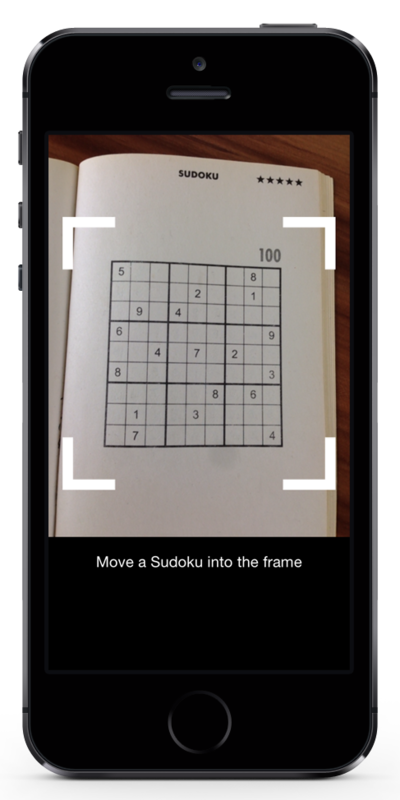 Sudoku Solver Camera supports square shaped Sudokus. 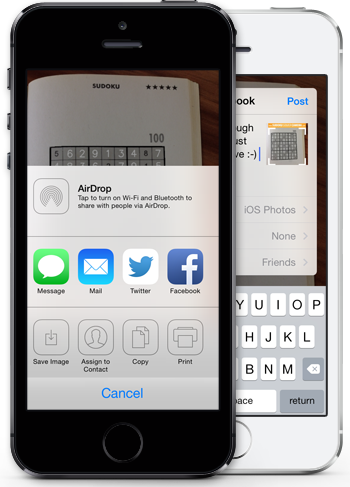 High contrast, straight borders, clear and large enough digits are mandatory. Almost all newspapers meet these requirements per default. 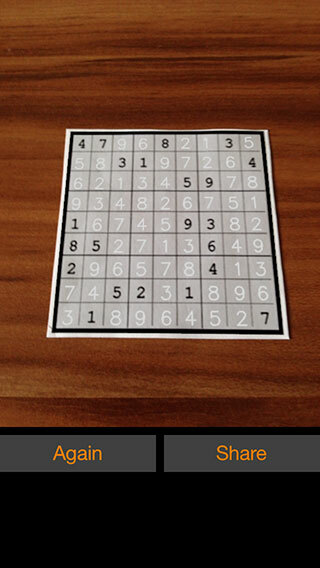 Share a solved Sudoku directly with your followers on Facebook, Twitter or other social networks. Keep in mind that you need to install the corresponding apps beforehand. This video shows you, how easy it is to solve Sudokus with our app. 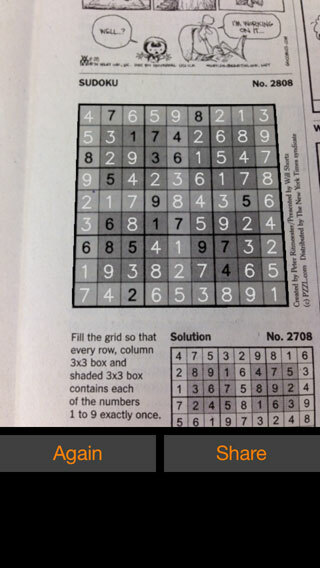 See how we solved the Sudokus in a couple of seconds. Have a look. All fields must be filled out and your E-mail has to be valid.